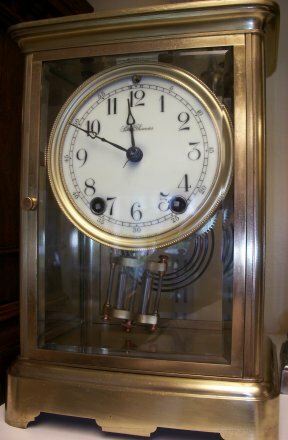 This is an 8 day Crystal regulator made by the Seth Thomas clock company. 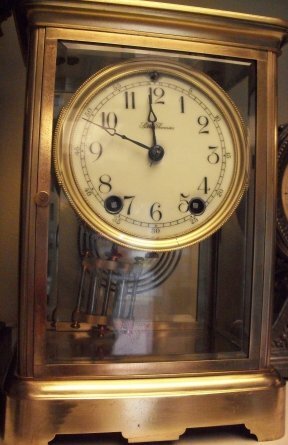 It has a time and strike movement that strikes on a gong. 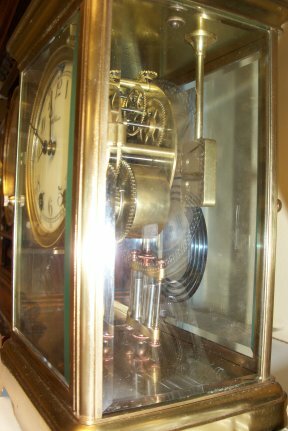 Closer view of clock from the front. 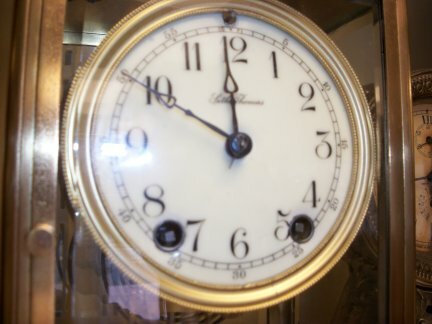 It has a porcelain face.